~Inspirations~ was launched in 2005 by Amy Recker. working with developmentally challenged children. Amy taught herself to make rosaries, then jewelry, and most recently the preserved flower keepsakes. Arts, crafts, and creativity is a big part of her life... as is faith. She has been involved in various church committees including the Spiritual Life Committee and co-chairing their Parish Festival. Amy has also taught Sunday School and Vacation Bible School, and is a Eucharistic Minister. She has served on the Toledo Diocese Bishop's Education Council, and most recently joined Calvert High School's Marketing Committee. Amy has also been the Emcee for the Tiffin area "Advent by Candlelight" event for the past 7 years, and has been a guest speaker several times. ​ with over 950 members now. 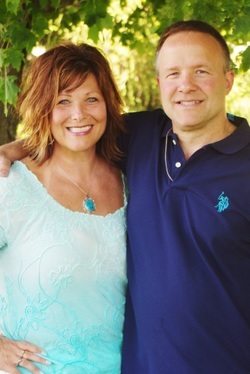 Amy has been married to Ricky for over 23 years and together they have five children. Family & Faith is the love and light of their life!! !